Empower the unique home decor expert in you with Flea Market Decor. Our once-only subscription offer saves you 59%!! Your home is a reflection of your unique style. And to keep a well-styled home you’ll need to pick the right things and know what to do with them. 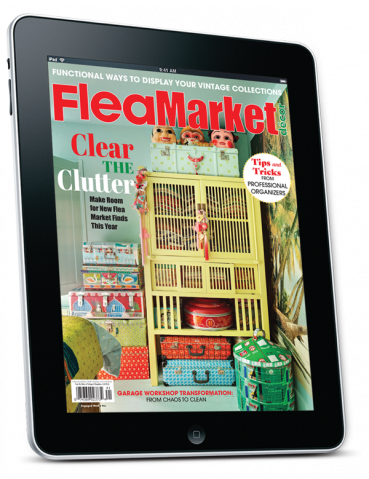 You need Flea Market Decor—the unique magazine to inspire your inner ‘junktiqueing’ expert. And our one-time subscription offer gets you an exclusive 59% discount! 4.) Step-by-step instructions for up cycling vintage furniture…and much more! Make the most of your next flea market trip or refurbishing project with Flea Market Decor.